This week we’re featuring a few clubs who participated in the MLK Day of Service! 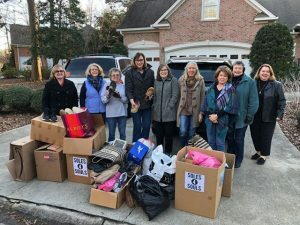 The Chapin Woman’s Club (South Carolina) held a shoe drive for Soles4Souls. They collected and packed 19 boxes for a total of 275 pairs of shoes on MLK Day! They advertised in Nextdoor, on Facebook and through their local Chamber of Commerce newsletter. The club had boxes for donations at their local town hall, chamber of commerce, and even members’ porches. They still had shoes being delivered even as they were packing boxes! 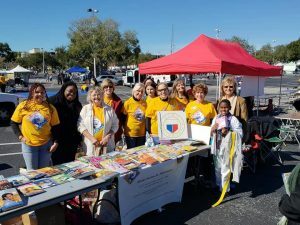 The GFWC North Pinellas Woman’s Club (Florida) and GFWC St. Petersburg Junior Woman’s Club (Florida) promoted literacy equality with a Little Free Library. They gave away 3,500 books thanks to a service award they received from the MLK Day of Service Project. 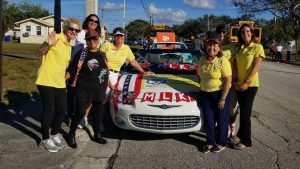 The GFWC Woman’s Club of Deerfield Beach (Florida) celebrated 100 years of volunteer service and participated in the MLK Parade in their community. Bridget Murphy of the GFWC Morgan County Woman’s Club (Kentucky). Their club project wasn’t going to be until later this week, and so she wanted to do something special on the actual MLK Day of Service. 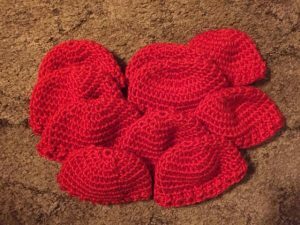 Her thoughtful project was to crochet ten preemie hats. She will donate them to the American Heart Association in memory of Patrice Booze, a member of GFWC’s 2018-2020 Resolutions Committee Member who sadly passed away in 2018. What a touching way to honor a friend! The Haddon Fortnightly (New Jersey) made snuggly fleece blankets for the foster children in the Court Appointed Special Advocates of New Jersey. 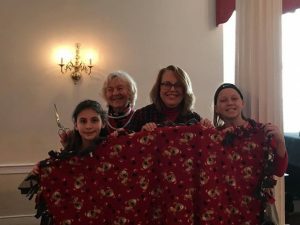 Members and their granddaughters made 2 dozen blankets for the children of CASA, which is the Special State Project of the New Jersey State Federation. The Circleville Junior Women’s Club (Ohio) was a triple threat for this year’s MLK Day of Service. Instead of working on one project, they worked on three! This included making bags for the homeless, making thank you bags for USO, and cutting and sending greeting cards to St. Jude’s Ranch to be repurposed. 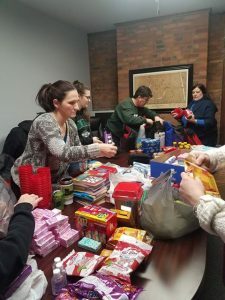 It was 25 degrees in West Tennessee on the morning of MLK Day of Service, meaning that member attendance was low for the GFWC Henderson County Woman’s Club (Tennessee). 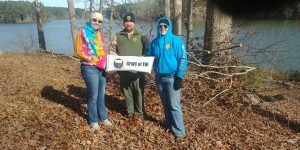 But the cold didn’t stop two dedicated members who assisted rangers at Natchez Trace State Park by clearing brush to create better lake viewing areas. 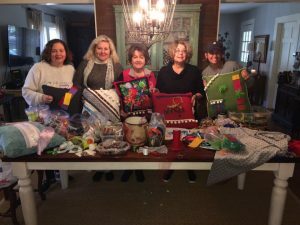 Members of the GFWC Jubilee Woman’s Club (Alabama) made fidget pillows for people suffering from Alzheimer’s and dementia. Fidget Pillows are pillows adorned with different textures and sensory tasks that help provide safe and comforting activities for patients. 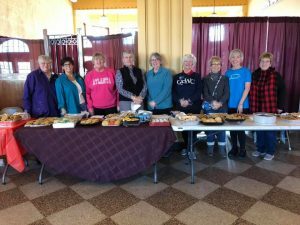 Members of the GFWC Women’s Civic League of Cheyenne, X-JWC, and Cheyenne Optimist Club (Wyoming) partnered to serve hot cocoa and cookies for the MLK March participants. They also delivered cookies to the Comea Shelter, an emergency homeless shelter. 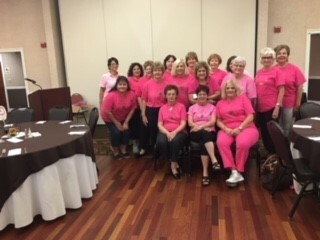 The GFWC Valamont Woman’s Club (Tennessee) combined two of the Seven Grand Initiatives! For their MLK Day of Service, they made 30 book buddy pillows. The pillows had a pocket to slip a Dr. Seuss book in. They will be given to low-income students at a day care center for their Valentine’s Day Party! The project was made possible by a grant from the Love Like Lija Foundation. Check back next week for even more projects clubs did for Martin Luther King, Jr. Day of Service! 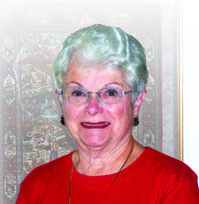 For accomplished author and GFWC clubwoman Mary Lou Parks, writing her club history, HerStory, was a journey that formed lasting friendships and a new perspective on women’s history.